SONEX One Baffles are an ideal solution to overall noise and reverberation problems. 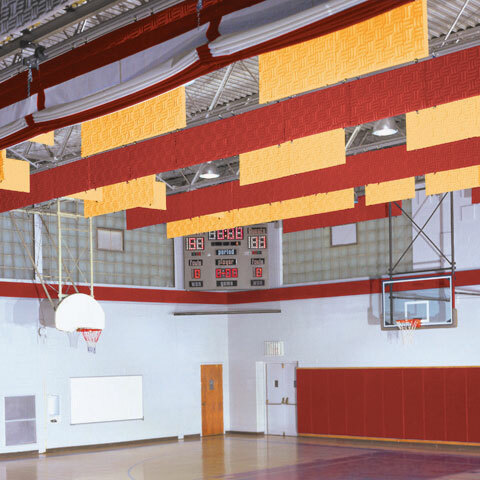 These versatile baffles can be used in a variety of settings including: auditoriums, gymnasiums, indoor swimming pools, recreation centers and production facilities. 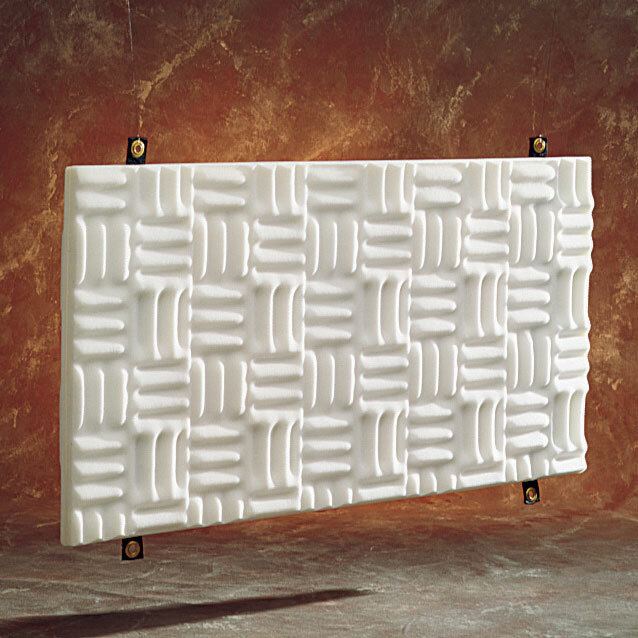 SONEX One Baffles are made from SONEX’s exclusive willtec® foam, which is Class 1 fire-rated according to ASTM E 84 for flame spread and smoke density. Willtec natural also meets the corner burn test UL 1715. 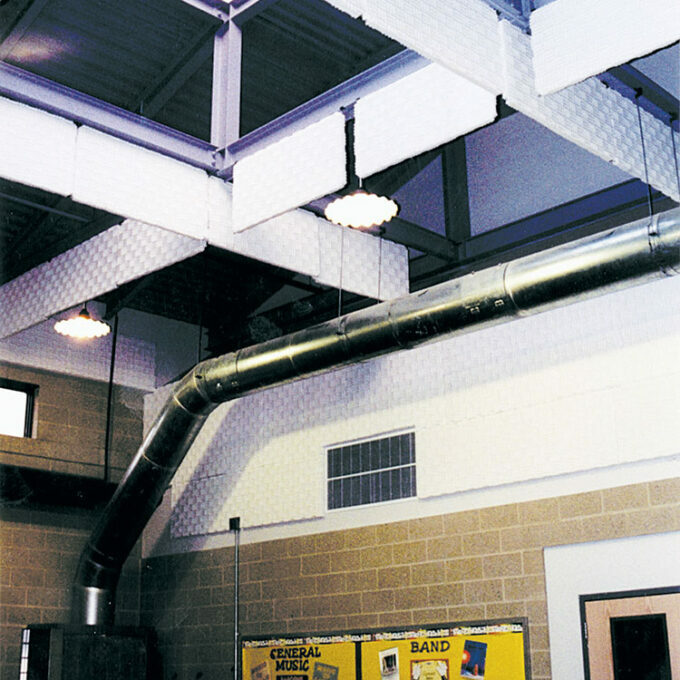 In addition to its high fire safety rating, willtec foam provides excellent sound absorption across all frequencies and helps prevent noise buildup that interferes with speech intelligibility. SONEX One Baffles are available in natural or water-based HPC-coated finishes. Our exclusive HPC formulation protects the foam from dust and dirt and makes it possible to wipe baffles clean using only a damp cloth. SONEX One Baffles are equipped with integrated straps and grommets for easy installation on ceiling-mounted cables or chains. 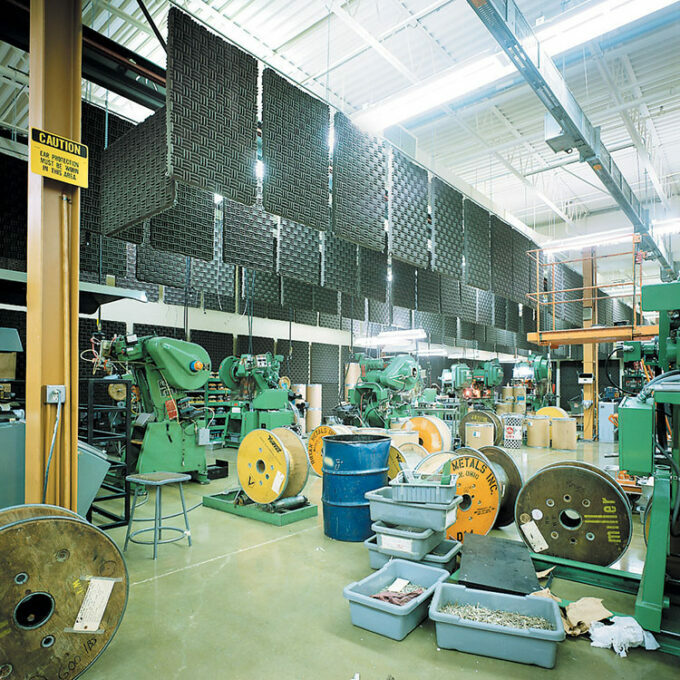 Baffles can be aligned in the same direction or arranged so that every other baffle is turned 90 degrees.